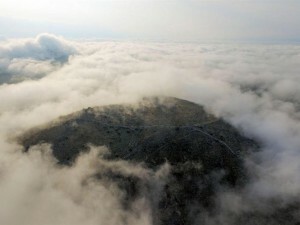 Archaeologists have unearthed a lost ancient city in the region of Thessaly, Greece dating back 2,500 years! The amazing discovery was made by researchers from the University of Gothenburg and the University of Bournmouth. 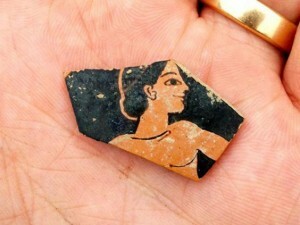 The excavations teams started exploring the ruins at a village called Vlochos, about 300km north of Athens. While some of the ruins were already known, they had been dismissed as part of an irrelevant settlement on a hill, the leader of the team, Robin Ronnlund, said in a statement. “A colleague and I came across the site in connection with another project last year, and we realized the great potential right away.’ he added. During their first two weeks of field work in September, they have discovered an ancient pottery and coins dating back to around 500 BC. Mr. Ronnlund said the settlement seems to have reached its heights in the 4th and 3rd centuries BC before being abandoned, possibly due to Roman conquest. A second field project is planned for August next year. He added: “Very little is known about ancient cities in the region, and many researchers have previously believed that western Thessaly was somewhat of a backwater during Antiquity.